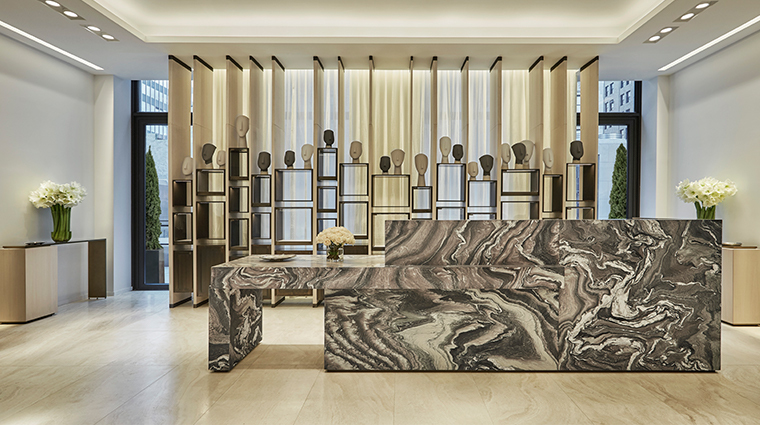 An antidote to downtown Manhattan’s relentless energy, The Spa at Four Seasons Hotel New York Downtown offers everything you need to refresh from a day spent in the frenetic city. 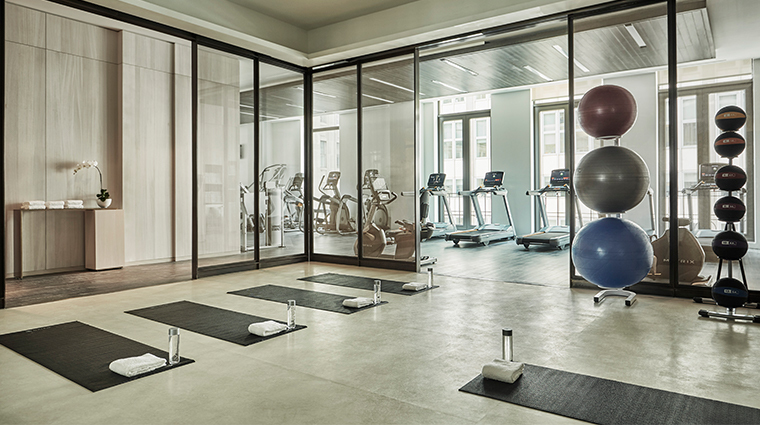 Boasting an entire floor dedicated to wellness, the facility goes beyond the average hotel offerings to bring you ultra-luxe firsts (Swiss skincare brand Dr. Burgener makes its American debut here), one-of-a-kind mind-body experiences (resident healers include a crystal expert and an herbalist) and exceptional surroundings (a 75-foot indoor pool overlooking downtown through floor-to-ceiling windows). 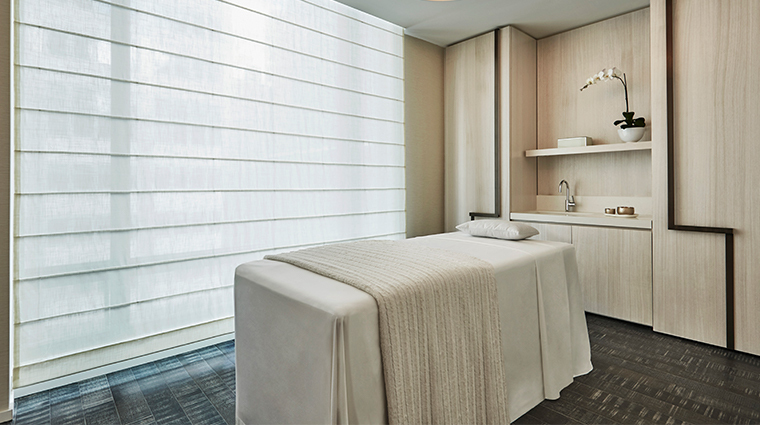 With a city-center location, just minutes away from the Oculus, One World Trade Center and high-powered Wall Street, the spa inside Four Seasons Hotel New York Downtown is a destination for recharging, relaxing and releasing. 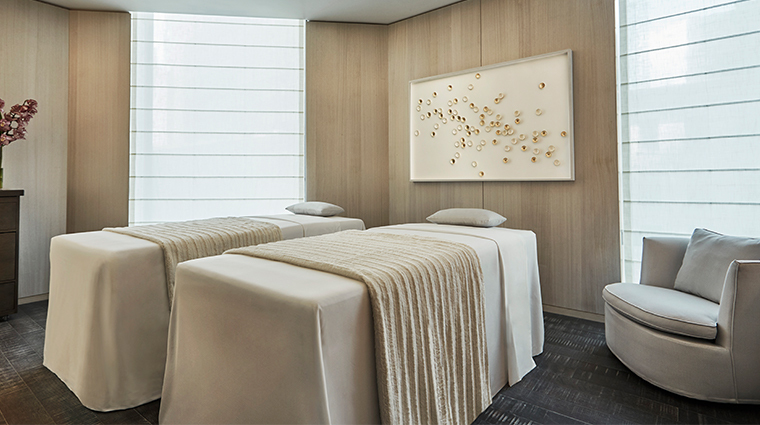 With a menu of treatments featuring luxurious ingredients such as green caviar, Swiss milk, chardonnay and gold, The Spa at Four Seasons Hotel New York Downtown is a lavish option for some city-center rejuvenation. 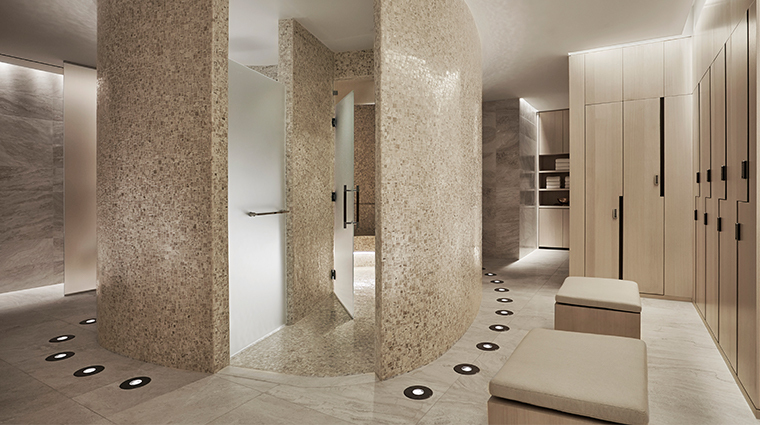 The Lower Manhattan spa feels modernist, but not stuffy. 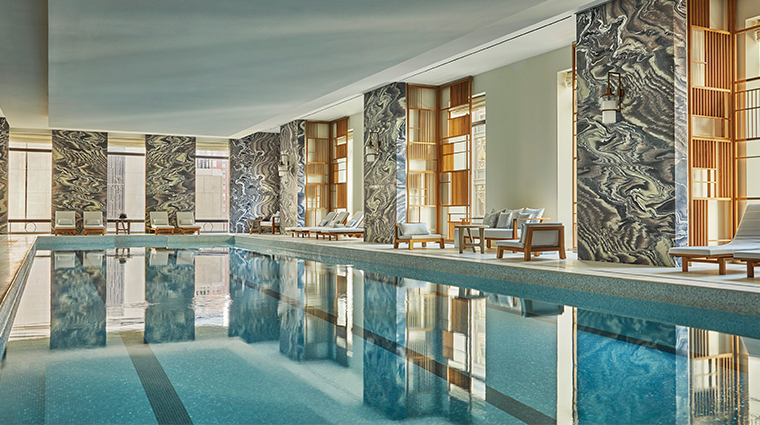 Designed by Toronto- and Soho-based firm Yabu Pushelberg, the light-filled space offers an earth-toned color palette with white tay wood walls, travertine floors and standout black-and-white marble columns surrounding the pool. If you’re feeling jet-lagged, opt for a traditional rubdown, or consult with Snow Shimazu, the luxury spa’s certified travel wellness specialist. Treat yourself to a private session and emerge feeling refreshed after experiencing her special blend of meditation, yoga and massage. In addition to providing an array of treatments from Dr. Burgener’s luxe line of skincare, the spa is also the only place in New York where you can indulge in a facial from Budapest-based brand Omorovicza. A 24-hour state-of-the-art fitness center is on hand for a quick workout, but those looking for a challenge can opt for one of the classes. TRX and Downtown Boxing are sure to get your heart pumping, while Power Pilates or a deep stretching option will help you feel toned and centered. The luxury spa is open to guests of the hotel as well as the public, so you’ll want to make a reservation at least a few days in advance. Weekends tend to be much busier, so it’s suggested that appointments are made two weeks ahead of time. 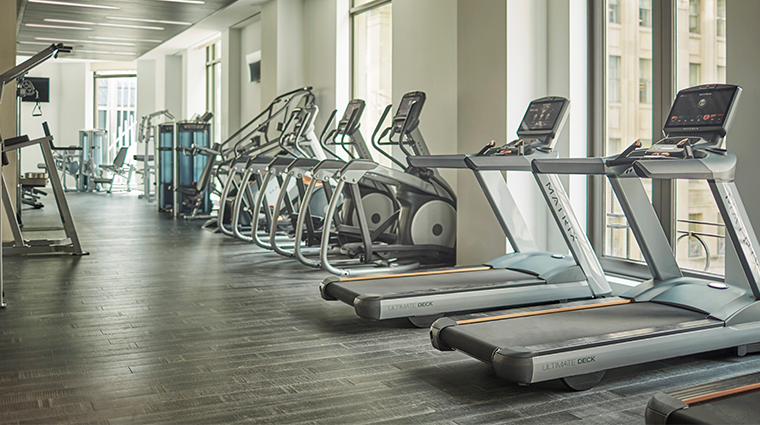 The fitness center is only available to hotel guests. Female massage therapists are always on staff, however male therapists are only on call. If you have a preference, make that request during the initial booking. One of the spa’s most popular treatments is the Luxury Green Caviar by Dr. Burgener. A tried-and-true favorite for pre-event prep, the facial begins with a Vitaskin Ultrasound that plumps up your skin with a dose of green caviar and gold trace elements, resulting in an almost immediate transformation. For full-body rejuvenation, the Purifying Mud Ritual from Omorovicza is a sublime choice. You’ll enjoy a detoxifying salt exfoliation before being enveloped in a cleansing wrap of Hungarian moor mud and then rubbed down with a warmed rose quartz massage. Find your center during the 110-minute Chakra Balancing treatment. This sensory journey begins with an aromatherapy-accompanied foot ritual, followed by salt exfoliation, dry brushing, a guided mediation, facial acupressure and a mineral scalp massage. If you’re looking for the ultimate indulgence, treat yourself to the Royal Ritual. This 5.5-hour package is pure luxury, complete with champagne, a caviar facial, a four-hand massage, a pampering pedicure and more. After spa treatments, relax on the sun deck, which, at 600 square feet, allows ample room for privacy. The eucalyptus steam room is a luxurious addition, opening pores and allowing for maximum healing. A thoughtfully curated spa boutique allows you to take the pampering home with you. Browse for Dr. Burgener and Omorovicza skincare, Soho-based Red Flower bath products, candles and diffusers by Fleur, jewelry by Ash and Ames and more.